Generally people who are taking steps to get their estates in order for the benefit of their heirs or beneficiaries are advised to avoid probate when selecting the methods through which their property will be passed on. People are usually advised to avoid probate because of the time and expense of it. However, depending on the size of a person’s estate, there is a probate option that may work for some people. Simplified probate, or summary administration, is a process that allows a deceased person’s estate to be distributed without a court appointed personal representative and in a much shorter time than under the formal probate process. Summary administration applies for Florida estates that are valued at less than $75,000, or where the deceased has been dead for more than two years. A person’s home is not usually included in the calculation of the $75,000 in assets. If the home is the only asset in an estate, the estate can qualify for summary administration despite the home’s value being over $75,000. In summary administration, the court does not appoint a personal representative to handle the estate through the probate process. Summary administration may work well for many small estates, but if the person taking care of the estate does not have a complete list of all the assets, or the estate has many creditors, summary administration may not be the best approach. Even under summary administration, the petitioner seeking summary administration of an estate has to ensure that all potential creditors of the estate have been paid. However, if the summary administration is being pursued based on the deceased being dead for more than two years, the issue of creditors’ claims may not apply because if a creditor has not made a claim within the two year period, the creditor’s claim may be barred. Once a person selects summary administration, he can make a change to elect formal or regular probate proceedings if he discovers the need to do so. However, this process of amending the pleadings is not necessarily easy. To discuss the need for switching from summary administration, you should contact an experienced estate planning attorney for more information. It is important to note that a person can write a will and exclude his estate from summary administration, requiring the estate to go through probate under the formal administration process. Even though a home can be passed on in a way that exempts it from probate administration, the person filing for summary administration may have to take additional steps to ensure the home’s title is marketable. This can usually be done through filing for a homestead determination at the same time as the petition for summary administration. 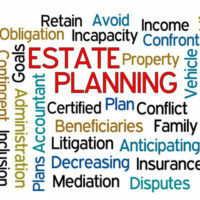 If you are thinking about settling your estate plan, and would like to discuss how the assets you own can be passed on without necessarily going through the probate process, you need to call an experienced probate and estate planning attorney to help guide you through the possible legal issues. For more information, call the Millhorn Elder Law Planning Group located in The Villages, Florida today.